"Making a difference. Empowering your philosophy in the community"
A personal touch makes all the difference. Based on our personalized conversations with athletes and their representation, we can offer various options for consideration ranging from donor advised funds to stand-alone 501(C)3 Foundations. You have the advantage of tapping into our charitable resources built over many years. We work with people in our communities who are involved with giving back and social responsibility. Our community resources provide you with ideas, research and feedback on how to create a successful philanthropy. Working with you. For you. You hit the ground running using our contacts and benefiting from our experience. You receive individualized service as we work with you and whomever you designate as your representatives (i.e. agents, financial advisors) to help you identify, develop and implement your vision for your charitable efforts. We also keep PR and professional goals in mind during our planning. We understand that the stronger the athlete's and foundation's brand, the better it is for both. 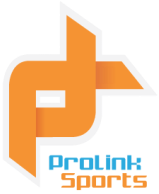 At ProLink Sports, we are also capable of organizing and executing fundraisers, insuring they are in compliance with state and federal regulations. And of course, we collaborate with everyone the donor designates to make sure that we are working toward common goals. This means we work with financial advisors, agents, etc., to insure that we are complementing each other. We have been cultivating new role models within the community for 10 years and we know that one size does not fit all. There are many effective ways to give back to the communities that matter to the athlete. We customize a giving program to what the athlete wants to do in his first year, scalable to grow as his career continues.